If you want to add some color to your summer garden but have no idea what to grow (or how to grow it), or if you just want some fresh ideas on flowers for summer…we’ve got you covered. 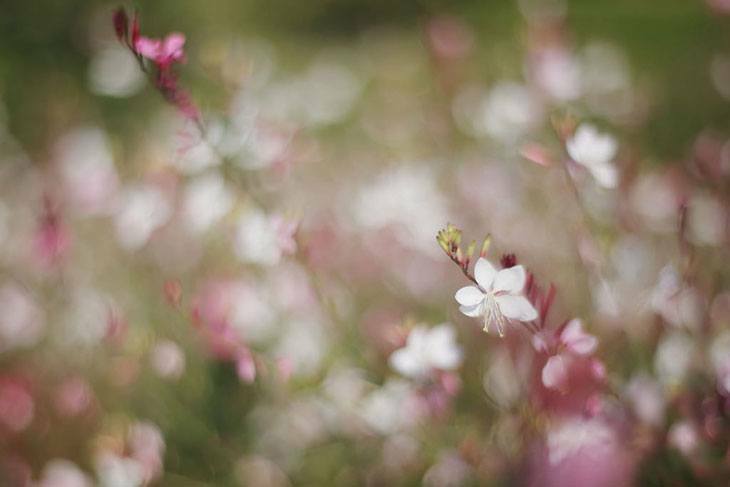 We collected ideas from gardeners around the country and compiled a huge list of flowers that bloom in summer (and beyond). All of these flowers are gorgeous in their own way and most of them are pretty easy to grow. These friendship-symbolizing flowers have a trumpet-shaped structure set against a star-shaped background. The trumpet is often in a contrasting color than the background and bears six petals in white or yellow. Their leafless stems hold 1 to 20 flowers. Sometimes they have to be stocked so the stems won’t be held down. They require a full sun site with well-drained slightly acidic soil. Plant them in spring before the trees leaf out. They can get the nutrients they need for the growing season. Don’t plant them under the evergreen tree since they cast shade throughout the entire year. More daffodil growing information here. Named for their star-shaped blooms, Asters are perennial plants. They are bright, daisy-like flowers with sherry-shaped heads. They have alternate, simple leaves that are toothed or untoothed, rarely lobed. They come in a lot of different colors, and their center is usually yellow in color. Depending on the type, they can grow from 8 inches to 8 feet tall! They are easy to grow. They prefer a site with full sun and average soil. Plant them from early to late spring and they will bloom in the later months of summer. If you plant them, they will not only add a pop of color to your garden but also attract butterflies to your garden. Learn how to grow asters here. 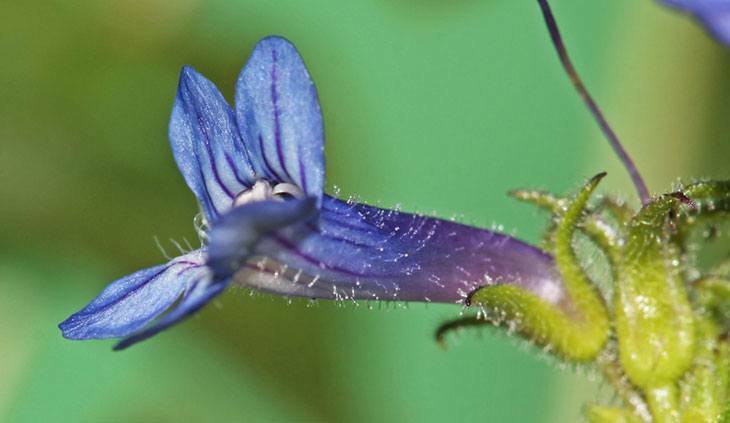 These perennial flowers can grow from 6-24 inches tall. They have lanceolate leaves that are mostly alternate but can be opposite near the top of the plant. The flowers have five petals and a spur. The stem of the flower is partially succulent. All parts of the flower are soft. These flowers should not be grown in full sun, while some can survive partial sun, most get sunburned. They prefer light to medium shade in a well-drained area. Water them hourly to moisten the surface but not enough to make it soggy. Never allow the site to dry out completely. The best to water them is morning. They can attract bees, butterflies, and birds. These partly tube-like beauties have opposite leaves that can be two-lipped and have seed capsules. They can grow up to 3 feet tall and are easy to start from seed. Be aware, that most species are short-lived. Seeds might germinate better after aging, so it’s safe to store the seeds for several years before planting. If you sow the seeds in the garden, the best time to do it is in Autumn. If you plan on starting them inside, you can also stratify the seeds in the refrigerator for three months. Make sure you give these beauties their space; they don’t compete well with other plants. Plant them during Spring, in an area that is full of sun. They prefer rocky or sandy lean soil types. More beardtongue growing information here. 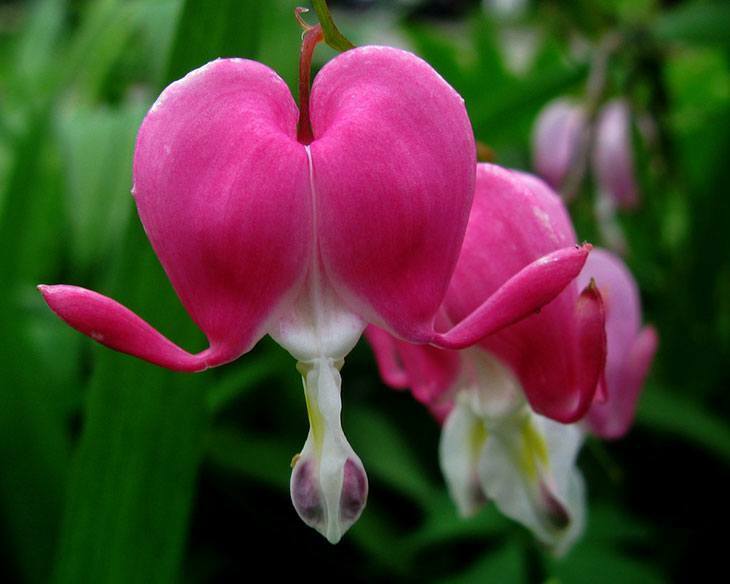 Bleeding Hearts have mounded foliage with arching stems of heart-shaped flowers. Their heights can range from 6 inches to 2 feet, depending on variety. You can find them in yellow, pink, white, and red. 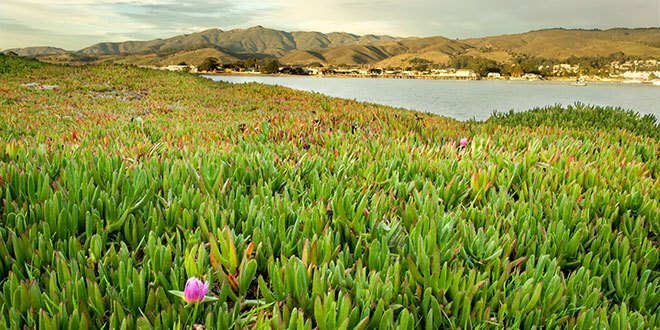 They bloom in spring and also might re-bloom throughout summer in cooler temperatures. You can choose to plant them in planters if you’d like. They thrive in cooler, moist conditions. The best site to plant them in is somewhere that has little to medium shade and has rich, organic like, well-drained soil. If you live near a woodland area, these flowers are the best to plant due to the fact, that they are deer resistant. They also make great cut flowers. Learn how to grow and care for the bleeding heart flower. These crown shaped flowers are usually pink, red, and white. Their blooms are tubular and bilaterally symmetric with a narrow upper lip and a wider lower lip. Their lanceolate leaves are slender, serrated and oppositely arranged. They can grow up to 4 feet tall, depending on the type. When picking a site, pick one that has full sun to light shade. The growing site must have well-drained soil although some species can tolerate wet soil. Plant them in Spring or Fall. Place them 1-2 feet apart. They are the perfect flower to add to a garden for gardeners who want to attract hummingbirds, bees, butterflies, and other nectar-seeking creature. Its flowers can be used to make tea. 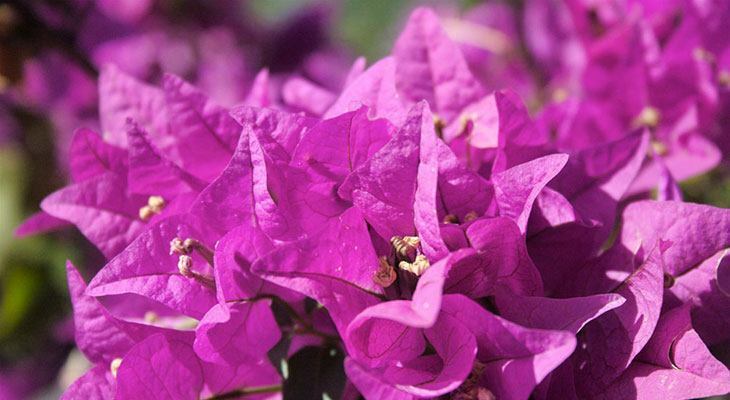 Bougainvilleas are thorny, woody vines with leaves that are alternate, simple ovate-acuminate. Their thorns have a black waxy substance on the tips. The flower itself is small and usually colored white and in a cluster of three., and surrounded by six bracts. The bracts are the bright colors associated with the plant. Pick a site with a lot of shade. They grow in dry soil and need frequent fertilization. They don’t need much water. In fact, they won’t thrive if over-watered. These bushy rudbeckias have much-branching stems. They are bright yellow with a brown colored disk that blooms in June through November. The leaves are lanceolate, with fine to coarse teeth, and the bases are narrowly winged or clasping. The lower three leaves are lobed but usually shed before flowering time. They can grow up to 5 feet. They are a heat and drought tolerant species. Brown-eyed Susans require little care. 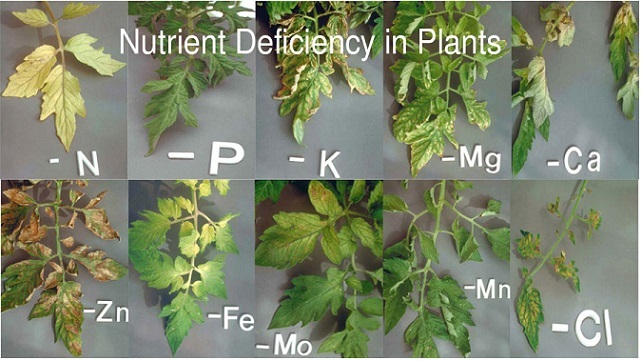 They are self-feeding and can grow in varies types of soils. They prefer a neutral soil pH and a full sun to light shade site. Their nectar attracts butterflies and bees. 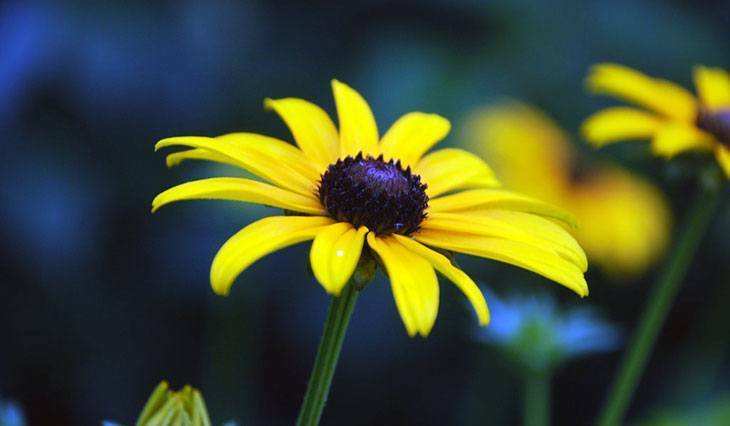 To learn more about Brown-eyed Susan’s click here. 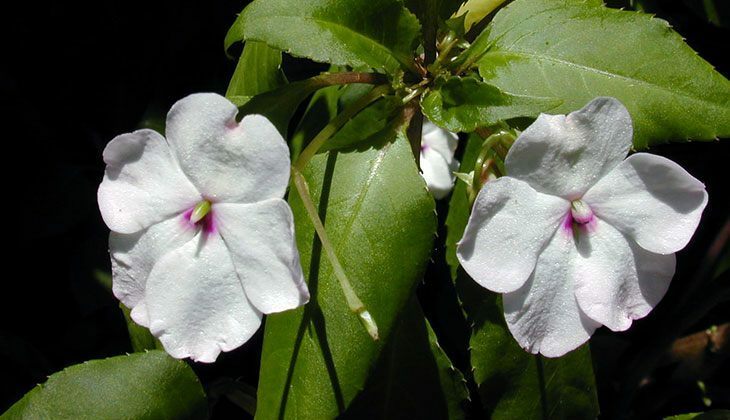 This plant produces pale pink-purple flowers from mid-summer through fall. They can reach a height of anywhere between 3-12 feet. They prefer a garden that is full sun to partial shade. They grow well in average to rich soil and like to be kept somewhat moist. They can tolerate overly wet soil but not dry sites. Plant them in the spring or fall. Their sweet nectar attracts multiple types of butterflies. They have a light fragrance of vanilla, which is more strong when crushed. Also, both the flowers and seeds have been used for producing pink and red dye. These Hedychium Coronariums resemble the wings of a butterfly in looks and are quite fragrant. The waxy blooms come in white, pink, orange and red tones and appear on flower stalks that rise about the foliage. They can grow up to seven feet tall. They bloom fragrantly in the summer and fall. Planting them can be tough. A light freeze is all it takes to kill them to the ground, but they will come back in the spring. Butterfly gingers grow well in both sunlight and shade. They also love water and will grow quite quickly. They thrive in moist organic soil. Once the color has faded in them, extract the old stems to encourage new growth. They have also been known to attract butterflies. Click here for more information on Butterfly Gingers. Caladiums are known for their foliage rather than their blooms. There are two types strap-leaved and fancy-leaved. Strap-leaved Caladiums have are more narrow elongated leaves and grow under 12 feet. Fancy-leaved Caladiums have leaves shaped in a heart or partial heart and grow up to 30 inches tall. Their foliage comes in a variety of colors. They are bi-colored that create a striking appearance. They don’t alway produce blooms. They grow in shaded areas and thrive in either a large container or garden bed with nutrient rich, well-draining soil. They require supplemental water to keep the soil evenly moist. 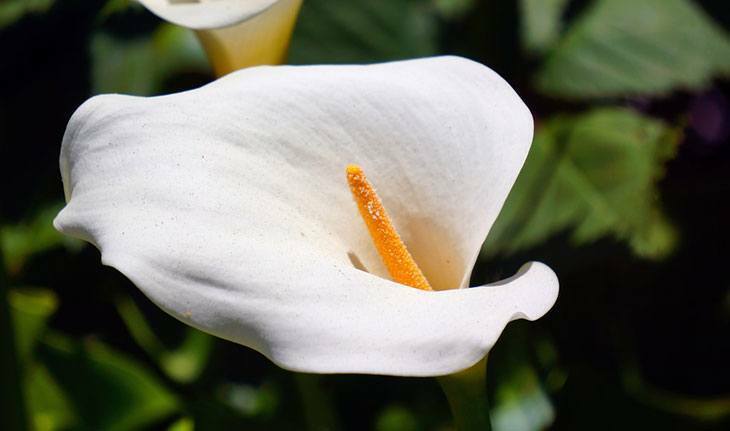 Also known as calla lilies and are related to the jack in the unit and the skunk cabbage. They are a leaf-like sheath called a spathe. The flowers are small and grow inside the spathe. They aren’t hard to grow. They require loose, well-drained soil. The best time to plant them is in Spring, but wait until the soil has warmed before planting them. Space them approximately a foot apart. They benefit from a monthly dose of fertilizer. These colorful bulbs have ruffled spikes tapering to refined buds. They have large, broad, flat foliage. Their foliage is often veined, paddle-shaped and is shades of green or bronze. They are tropical and need the sunshine and moist soil to thrive. Once planted, they won’t need to be watered much. They can be started in small pots and plant them in the early summer when you’d plant your tomatoes. They are an agricultural plant and one of the world’s richest starch sources. Also, their seeds can be used for jewelry. 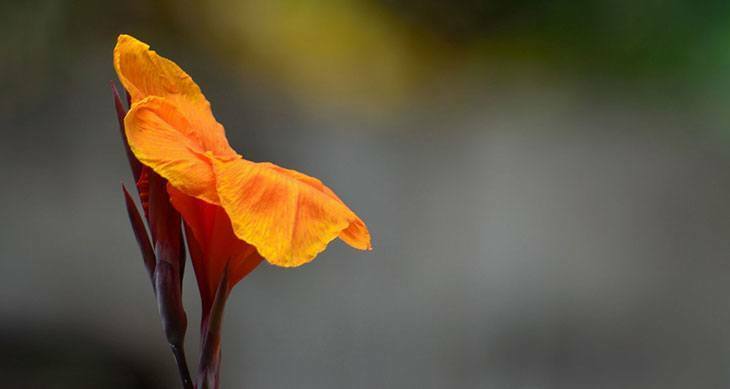 To learn more about Canna’s, click here. 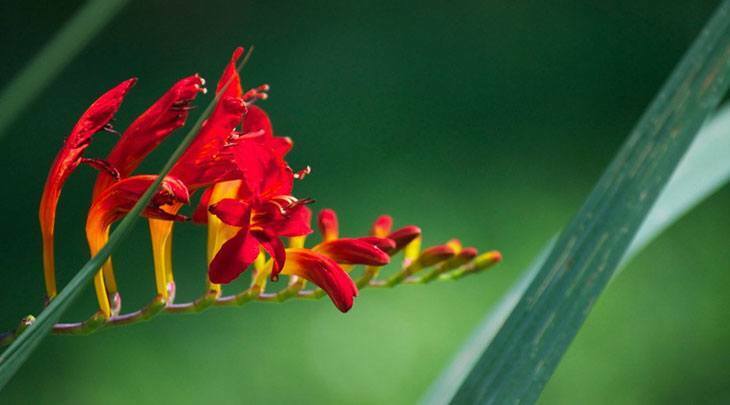 These flowers have sword-shaped foliage and brightly colored blooms, which are funnel-shaped. They have a subtle scent that increases when dried. Their slender stems can grow 2 feet or more in height. They bloom in May and June. They grow from corms, which are like bulbs but lack the rings on the interior. When you plant them, make sure the garden bed is rich in nutrients and well-drained. Plant them in spring at about 6 to 8 inches apart. Plant them in clusters for the maximum effect. For the best results, plant them in full sun. These beauties have one flower head per stem, and can be as small as 2 inches or 1 foot in diameter. They have leafy stems, with heights ranging forming from 12 inches to 6-8 feet. 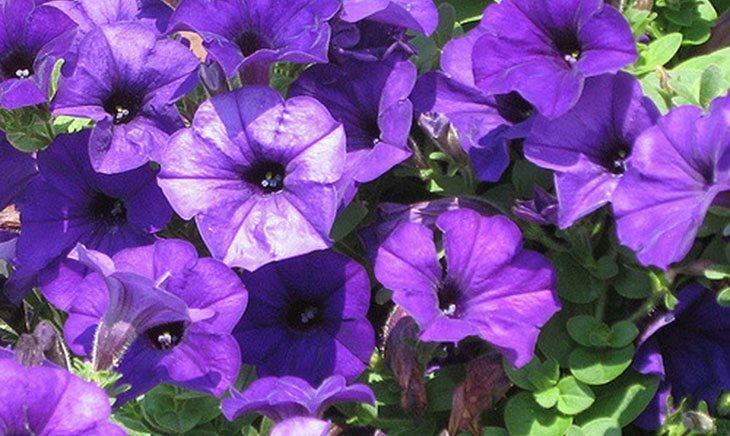 They don’t produce a decent, and the blooms can come in most hues, except blue. You can grow them from seed for flowering the season year as sowing. The seeds should be sown in late winter under glass and will bloom in late spring to early summer. Once planted, they thrive in heavy soil and respond well to feeding. They require a sunny site and regular watering is necessary. Click here for more information on Dahlias. These flowers have long, lanceolate foliage. Their leaves vary in size from slender and grass-like to husky, wide and nearly corn-like. They may arch and range from 6 to 36 inches in length. Many types have thickened roots, where they store food and water. They have three petals and three sepals, each with a midrib in either the same or contrasting color. They can tolerate any soil conditions and aren’t troubled by diseases or pests. They prefer moist yet well-drained soil. When planting them, place them 12 to 18 inches apart. They can bloom for years without much attention. 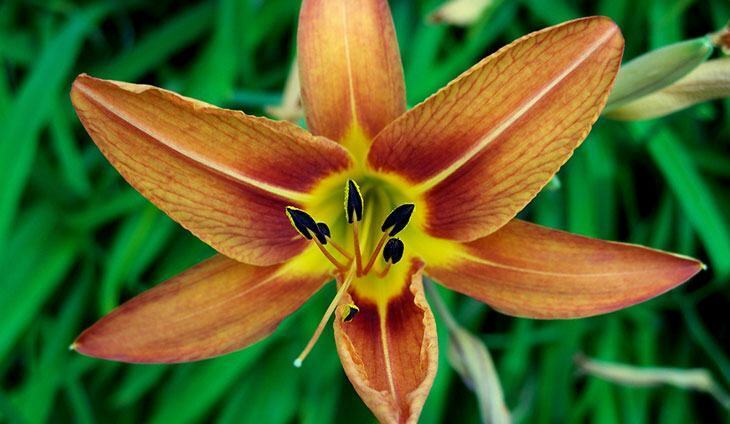 The life span of a Daylily is 24 hours. These delicate white flowers grow in clusters. This subshrub forms a tidy cushion of shiny dark green leaves. In late spring and early summer, flattened clusters of 4-peatled flowers cover the foliage. They can grow from 6 to 12 inches in height. They bloom in spring and fall. Their dark, shiny dark green leaves form a billowing mound, with a lot of good sized flowers for several weeks. They require full sun to part shade in a well-drained site. These beauties are a year-round flower. To keep them alive during winter avoid clay soil because it keeps the soil moist. Plant them 12-15 inches apart. 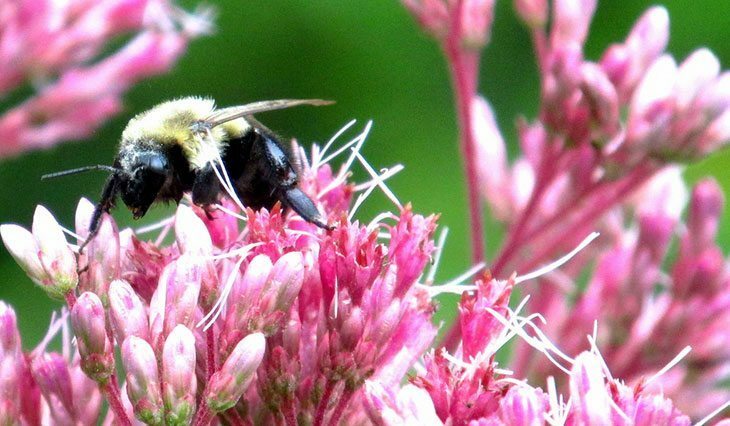 These flowers attract bees, butterflies, and birds. 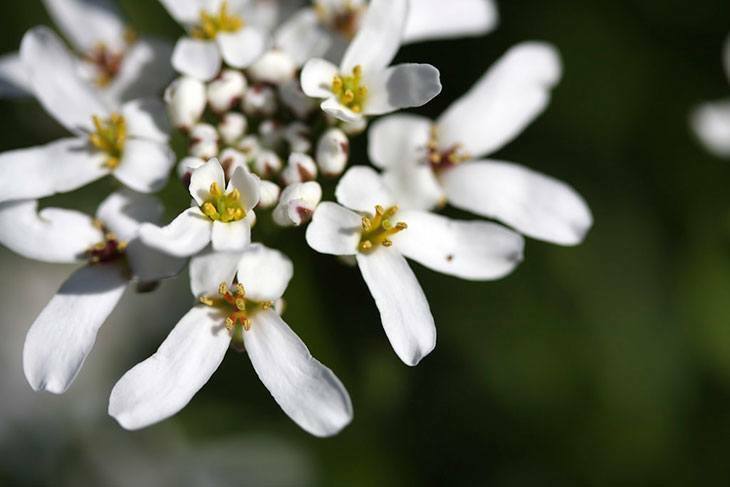 To read more about Evergreen Candytufts click here. These gorgeously fragrant flowers have sword-like foliage. The flower heads are star-shaped and 2 inches in diameter. They are often white with mahogany-purple centers. They can grow up to 24-36 inches tall. They prefer a site with full sun and well-drained soil. Come winter time you can leave the corms in a well-mulched bed. When new growth appears, fertilize it. Plant corns 4-5 inches deep and 4 inches apart after the threat of the last frost. They should bloom eight weeks after planting. Stalking may be needed if their foliage and flower spikes get top heavy. For more information on Fragrant Gladiolus, click here. These flowers have foliage that is lance-shaped. The stems are wiry and bear many one-inch flowers that have four petals each. They have a long bloom time, from summer to fall. They require full sun but some afternoon shade is tolerated. Choose your planting site carefully. The long taproot makes them so drought tolerant and is often difficult to transport successfully. They prefer well-drained soil and plenty of sunshine. They prefer to be infrequently watered. To help establish their roots, water them deeply. These perennials have a much longer bloom time than any others. These garden favorites have fine white hairs covering young growth, which matures into thick green stems. They have global leaves that are arranged alternately along the stem. The flower heads are clusters of florets that resemble large clover flowers. They bloom in June and can last until October. When growing them from seed, start indoors six weeks before the last frost. In able to sow them outdoors, you should wait until the threat of frost is gone. Choose a site in full sun with good drainage. They can grow in almost any soil type except alkaline. They thrive the best in garden soil.Space them from 12 to 18 inches apart. They can tolerate dryness but perform best with even moisture. 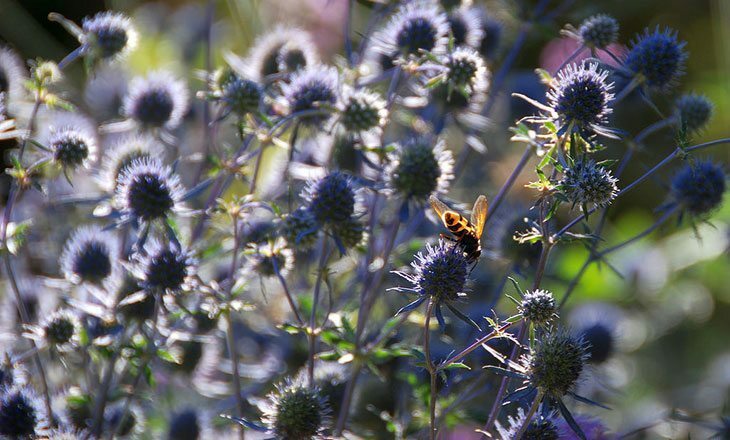 Once in full bloom, they will attract butterflies and other important garden pollinators. They also dry well. 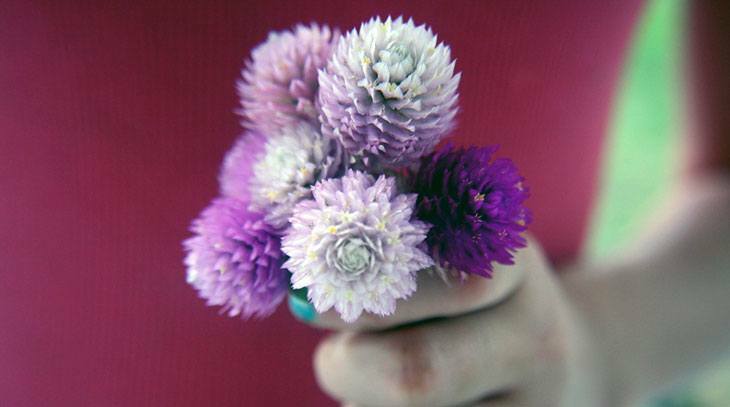 They can make an excellent addition to an everlasting bouquet. 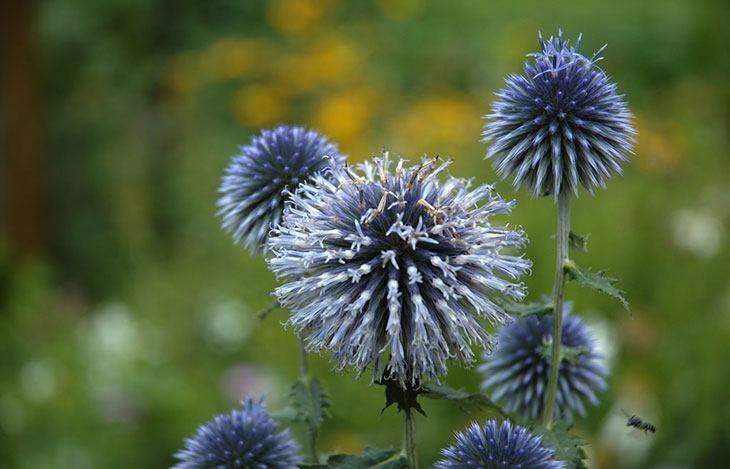 These stalwart perennials produce metallic blue or white blossoms with perfectly round flower heads atop ribbed stems. These plants can from to 2-5 feet tall and almost as wide. Their levels are spiny-edged and white and wooly underneath. Plant them in a full sun site in well-drained, moderately acidic soil. They perform well in hot, dry climates. These flowers are deer resistant and may self-seed but not very aggressively. They attract bees and butterflies. They also dry well and make a perfect addition to an everlasting bouquet. 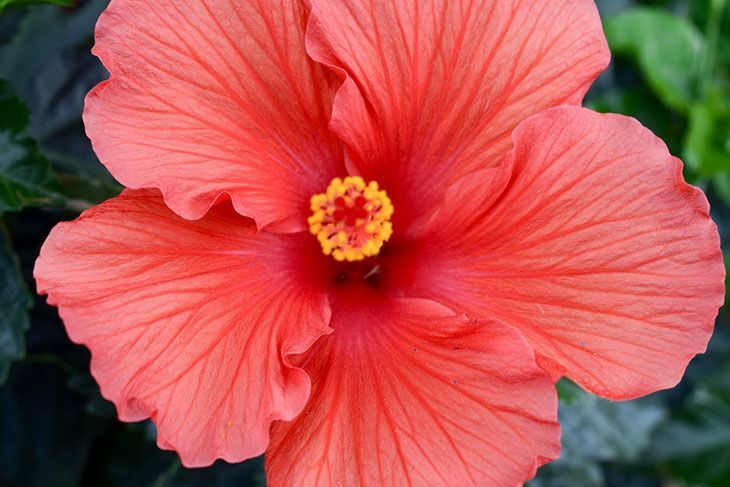 The Hibiscus is a huge trumpet shaped flower. 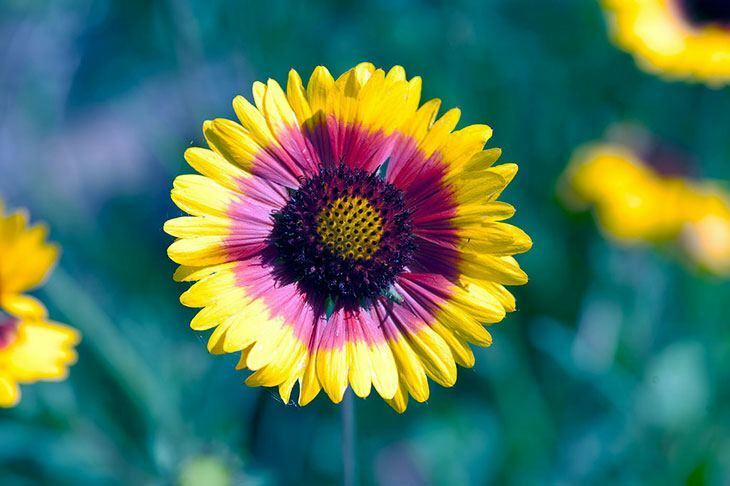 It has 5 or more petals, colors from white to pink, red, orange, peach, yellow or purple. In certain species colors of flowers can change when matured. Their leaves are alternate, ovate to lanceolate with toothed or lobed margins. They need plenty of room to grow. They seldom last for more than a day but are abundant and blooms over several weeks. 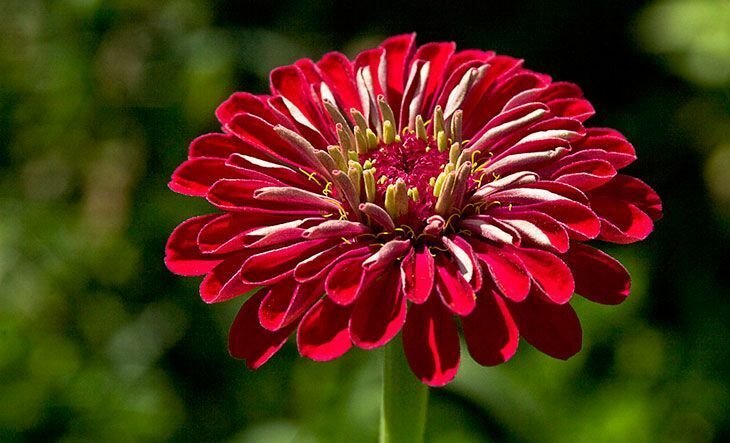 Grow these flowers in rich, loose, well-drained soil where you can water it easily and regularly during dry spells. The large leaves tend to draw Japanese beetles. These garden favorites can grow up to 9 feet tall and produce multiple blooms on central stems. The most common color is red, but other colors are pink, white, yellow and purple. Their leaves are large and veined. They have long taproots and produces multiple seeds. Choose a sunny spot that needs some height or color to your landscape. Plant them in the spring after the last frost. They can do well in almost any soil, but thrive in well-drained soil with pH 6.0 – 8.0, from slightly acid to alkaline. Plant them at least eighteen inches apart. Water them thoroughly during hot, dry weather. To prevent disease problems, keep water off the leaves when watering. Click here to read more about Hollyhocks. 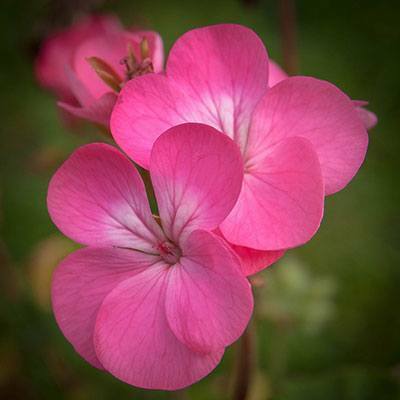 This herbaceous perennial brims with pink blossoms. They can grow on average to about 2-4 feet tall and 2-3 feet wide. They bloom from late spring to early fall. They can tolerate a range of soil types. Rich soil will cause them to flop, and poor soil will cause them to grow upright. Pick a site that is well-drained, full of sunlight and protected from high winds. Their seeds should be planted in low-soil and lightly watered until they germinate. They are drought tolerant, so all you have to do is water them weekly. 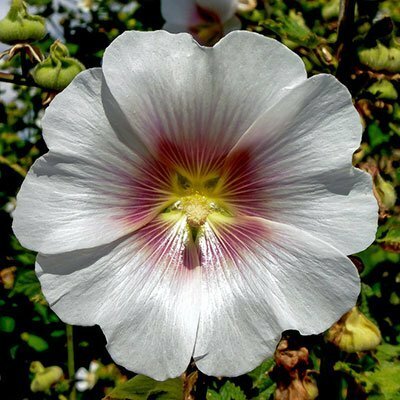 Click here to learn more about Hollyhock Mallows. These plants are small, branching and spreading shrubs. They have grey-green leaves and long flowering shoots. The leaves can be simple or innate and can grow 1-2 inches in length. It produces flowers on shoots or spikes which can be 8-16 inches long. The flowers are lilac or blue in color. They can grow to 1.3 feet in height and live for 2-3 years. They can tolerate many growing conditions but thrive in warm, well-drained soil in full sun. 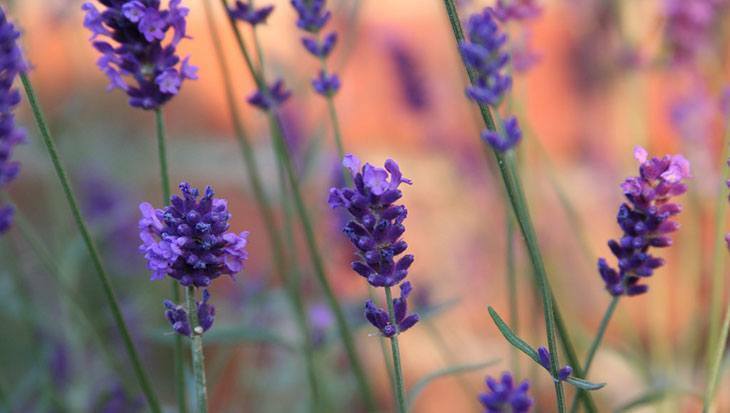 To enhance their fragrance, choose an alkaline or especially chalky soil. It is a tough plant that is very drought-resistant, once established. Although, when first grown add some compost to the planting hole and keep them regularly watered through their first growing season. This daisy-like or double, carnation-like flowerheads are produced singly or in clusters. They add a wealth of gold, copper and brass into any summer/fall garden. Pick a site that has plenty of sunshine. They can grow up to 2 inches tall. They grow in in almost any soil but thrive in well-drained soil. Once the soil is warm, sow them directly into the garden. You can also start them 6 weeks before the last spring frost date. Separate seedlings when they are about 2 inches tall. Plant them in last of loose soil or transplant them into the garden. These tall, long-lived perennials produce a stout, unbranched stem growing up to 1-2 meters tall. They have deep green, glossy leaves that are often smooth. 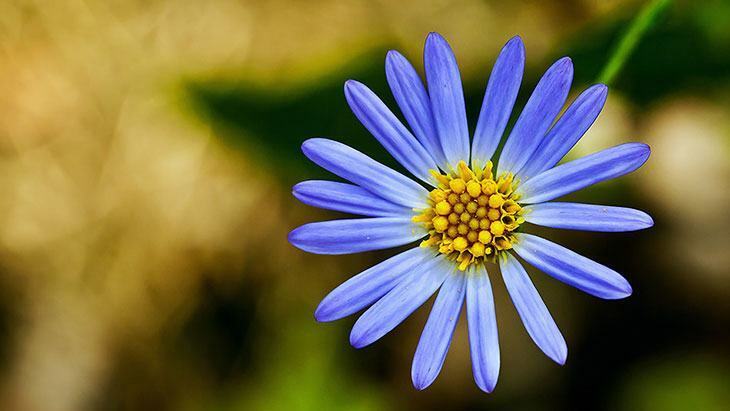 The flowers produce colors of blue or white. They have modified sepals that look petals. The uppermost sepal is modified to form the helmet or hood. The true petals are two tube-like projections around the stamens. They bloom mid to late summer and into fall. They grow the best in full sun or partial shade. If exposed to the right sun they don’t require stalking. They can grow in any kind of soil but thrive in acidic or alkaline soil. 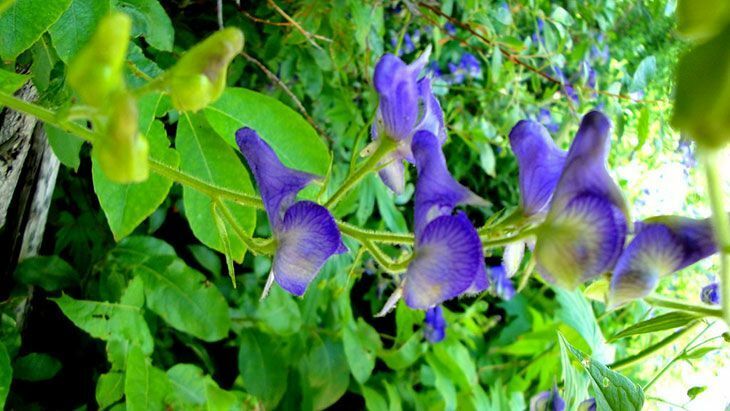 Click here to read more on Monkshood. These hybrids feature a shrubby habit and large flowers. The flowers are typically single, with five flat petals. Their leaves are lush, lanceolate and are often bold and tinged with red-bronze, or splashed with bright green or yellow. They can tolerate moderate amounts of sunshine but thrive in the shade. The ideal location for these beauties are on the east side of a building or house; that way they can get the morning sunshine and the afternoon shade. Fill the best with mass plantings for the best look. If planted 18 inches apart they will grow in mounds that cover the entire space up within weeks. These graceful beauties have big blooms that come in white, pink, yellow or a combination of hues. Some can even sport spots or stripes. They prefer rich, moist, well-drained soil. Improve your soil by adding compost, peat, or leaf mold. Plant lily bulbs in a site with filtered sunshine. You should avoid areas that are windy and receive hot afternoon sun. Add a layer of mulch to keep the bulbs cool and conserve moisture. 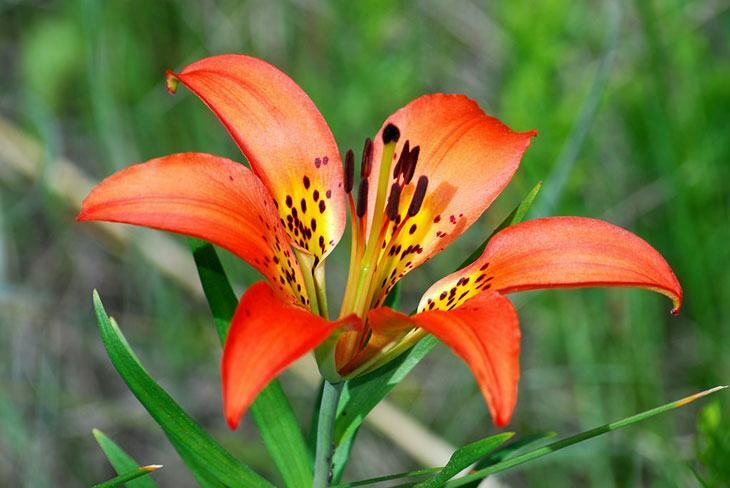 Click here to read more about oriental lilies. They bear colorful, cloverlike leaves that close up at night. 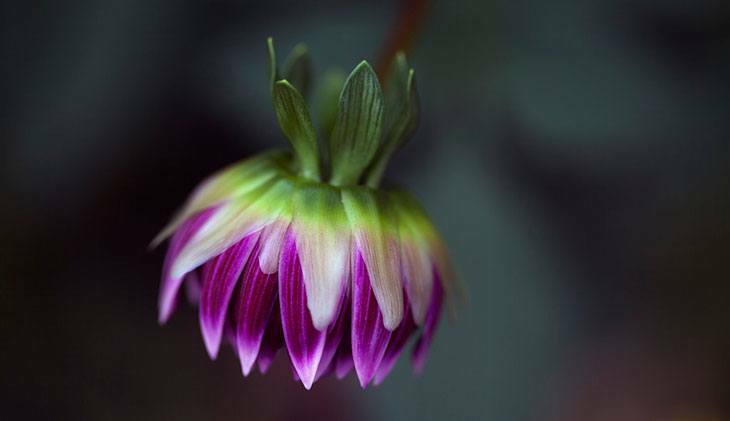 The cup-shape blooms appear in the shade of yellow, pink and white. They don’t like soggy soil. Pick a site to plant them with well-drained soil and where they will get full-day sun. They can grow in light shade but thrive in stronger sunlight. Water them well, just gently soaking the soil. 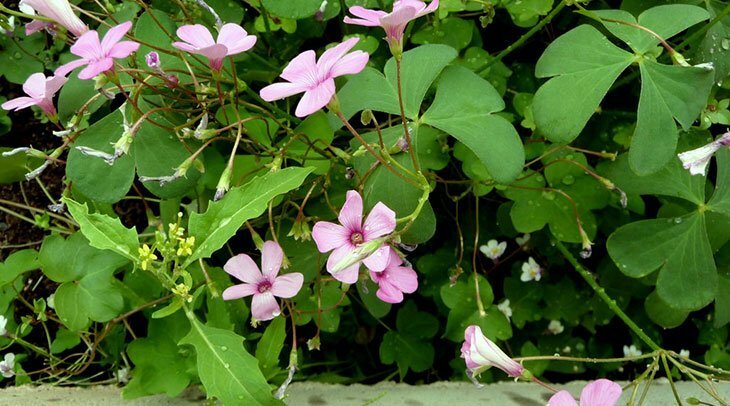 To read more about Oxalis, click here. These lovely herbaceous perennials can grow from 0.82 to 3.28 feet tall. They have compound deeply lobed leaves. They also have large fragrant flowers. The best time to grow them is in early fall. They grow in colder climates, they will only grow well if they experience a pronounced period of winter chilling. Put grow sites in full sun, they can tolerate light shade. They can grow in pretty much any soil. They will thrive if you add organic material and compost into the planting hole. They need good drainage and a soil pH that is close to neutral or the most, only slightly acidic. They should be planted away from large trees or shrubs. 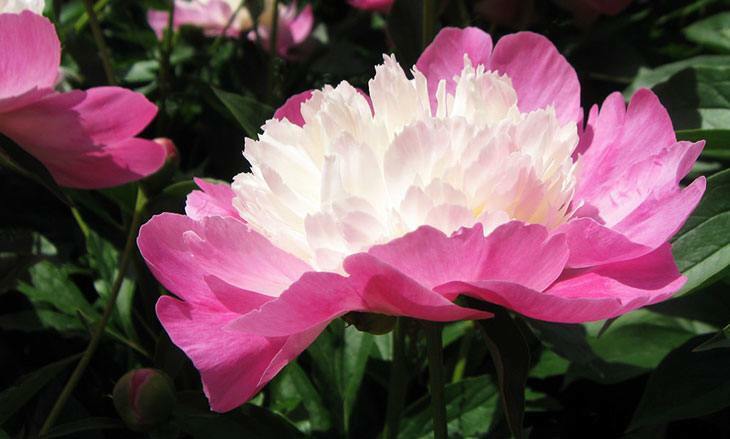 Click here to read more about Peonies. These popular plants are known for their glossy foliage and flowers. 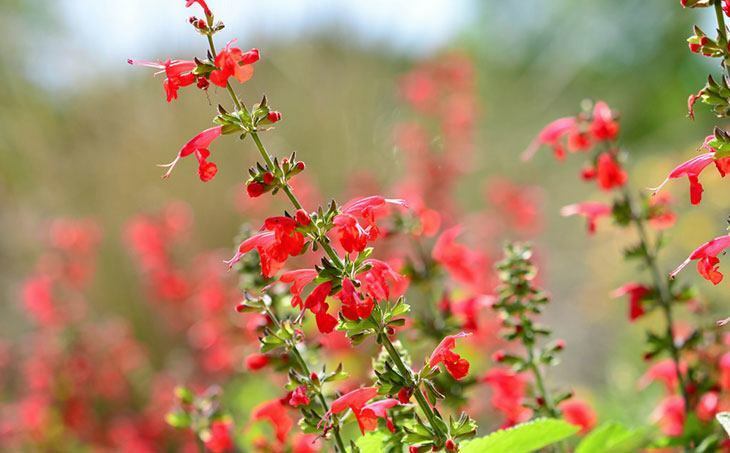 They can grow 1-2 feet.They are heat and drought tolerant and are the perfect flowers to add to your garden if you live in hot and dry areas. They can grow in a range of light conditions, from full sun to shade. They can do well in average soils. Space them 12-15 inches apart. When planting, water well. Once they are established, you only need to water them during extended droughts. 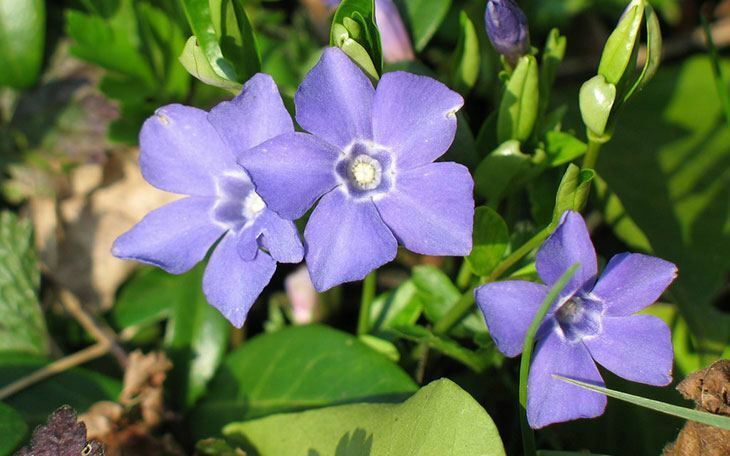 Click here for more information on Periwinkles. These flowers have fleshy leaves with flower spikes that resemble miniature pineapples at the top of each stem. They have hundreds of waxy one-inch starry flowers that are perfectly shaped. The are mostly edged in maroon and bloom from the bottom up. When you grow them, protect them from winter-to-spring rains. They are best planted under a roof or in pots. They prefer full sun but when it’s hot they can tolerate light shade. It is normal for them to wilt during a hot midday. These perennials sport many star-shaped, colorful flowers when in bloom. Plant them in the spring and space them 1 to 2 feet apart. The like moist, well-drained and average to rich soil. Plant in a site with full to partial sun. They need regular waterings throughout summer. Each spring, put a thin layer of compost and a 2-inch layer of mulch around the plants to keep the soil moist. 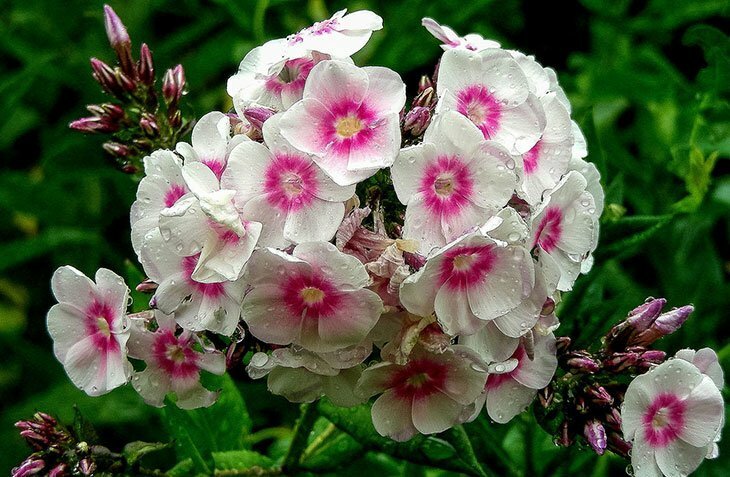 Click here to learn more about Pink and White Phlox. 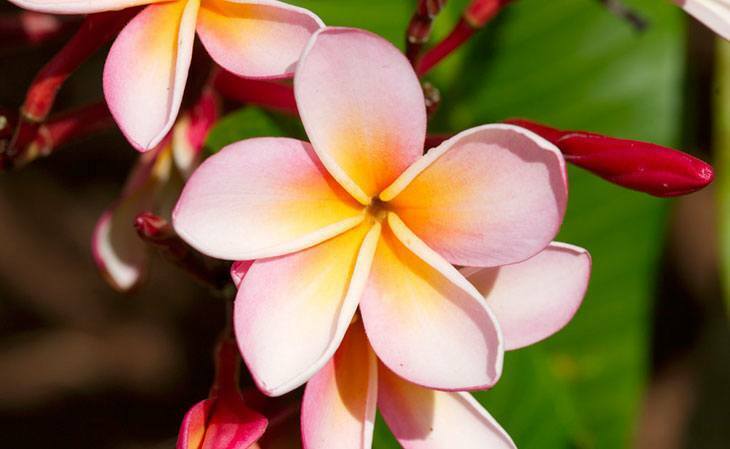 These popular tropical beauties have thick stems, leather leaves, and an abundance of flowers. They bloom from early summer until fall. Some varieties can grow to over 30 feet tall! Their waxy, 2-4 inch flowers are fragrant and are best planted by windows so you can get a fresh scent. They can in pink, red, white, and yellow. They are often planted in containers and make excellent cut flowers. Pick a site with full sun to light shade and well-drained soil. You should plant them in spring and space them 10 to 20 feet apart. If you have poor soil amend it with a small amount of compost. They are also cut to make leis in the tropics. These daisylike flowers have dropping petals. They can grow from 1-8 feet tall and 1-2 feet wide. ou can find them in blue, orange, pink and white. They spread beautifully to add color and joy to your garden. They are best grown in a site with full sun and good soil. They attract many birds and butterflies and is bothered by few pests or diseases. It is also a great cut flower to add to a bouquet. 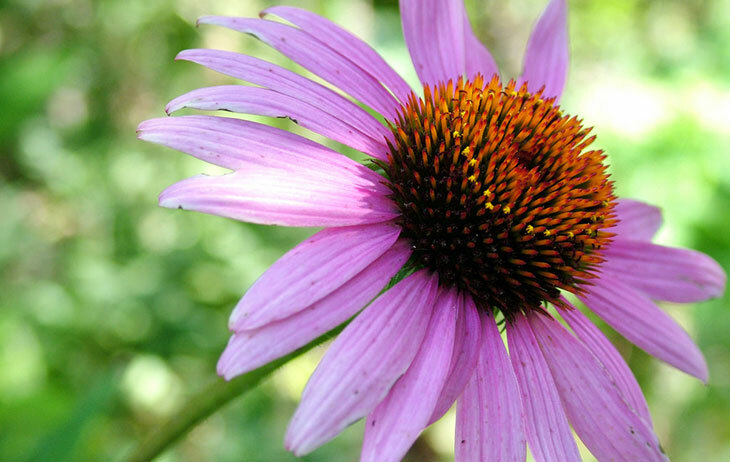 To read more about Purple Coneflowers, click here. These popular plants have purple and burgundy-colored foliage. 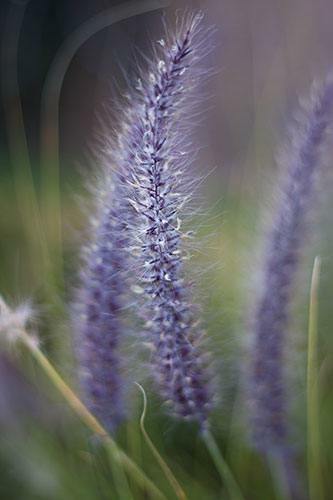 They have soft, fuzz-like blossoms, which are then followed by purplish seed heads. They can reach about four feet tall, and sometimes just as wide. Plant these to make a bold statement in your garden. Before considering planting this tender perennial, know that this grass won’t survive cold winters and is only hardy in warmer zones. The grass may not return the next year if you live in zones 6 or lower. Though, you can transplant them into a container every winter and bring them indoors. You can keep it in a cool area in your home. Water it once a month to keep it moist, not soggy. 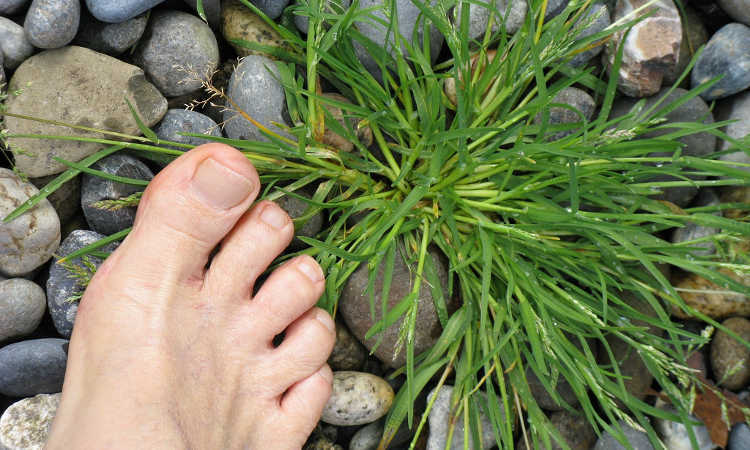 Once the threat of freezing weather and frost has passed, you can set them back outdoors. When growing them, the can be planted at any time, but spring is the best time. Pick a site with full sun and well-draining soil. Give them plenty of room to grow, spacing additional plants 3-5 feet apart. These beauties have large, lush and intensely colored 3-inch blooms. They can grow from four to six inches and can spread from 48-60 inches. They can be grown early indoors and transplanted outside after the threat of frost has past or they can grow in potted plants. Sow them indoors 8 weeks before the last frost and keep the soil moist and at 70-75 degrees. As soon as seedlings show up, put them in an area with plenty of light. Select a site in full sun with good rich, well drained soil. They respond well to amended organic matter soils. They should be planted 6-12 inches apart in the garden. Keep them well watered during the growing season. Read more about Purple Wave Petunias here. These bright tender perennials can grow from eight inches to 3 feet in height. 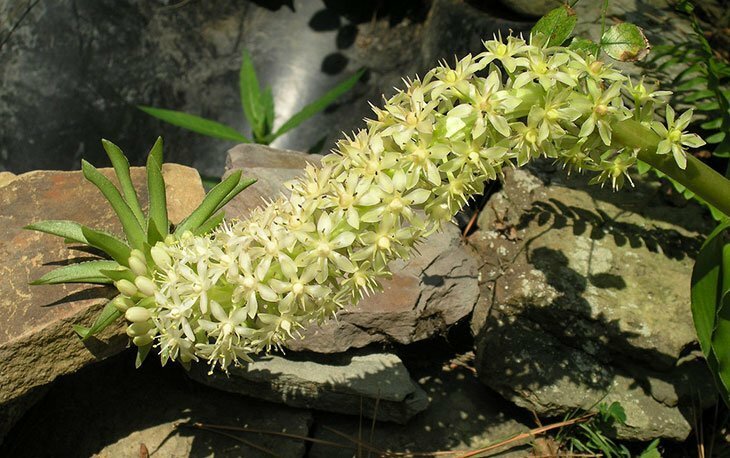 The spikes of flowers are composed of bright bracts with flowers in the center of each. The flowers are either the same color or contrasting. Pick a site in full sun to partial shade. It needs average soil and continuous moisture to perform best. Sow them indoors six to eight weeks before the final frost. Transplant seedlings into the garden after the danger of frost has passed. Space them from eight to twelve inches apart. Read more about Scarlet Sage here. These flowers can grow anywhere from 18 to 36 inches tall with a one-foot spread. They have green or silvery blue stems that give way to green or blue cones surrounded by a sticky silver, white, green, blue or violet brackets, which bloom from summer throughout fall. 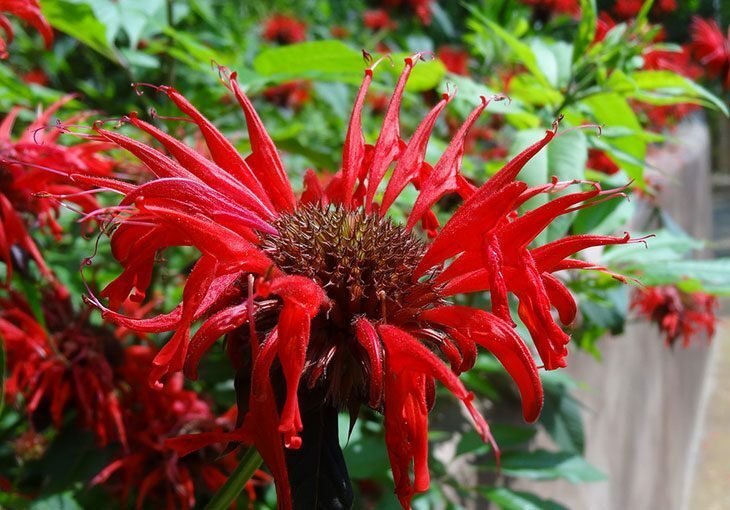 All types of flowers will thrive in full sun and moist soil with good drainage. They thrive in sandy soil. They can tolerate poor soil conditions and drought. The seeds can be sown directly in the garden. Don’t be disappointed if they don’t bloom in the first year! The seeds require a warm moist stratification for one month and a cold stratification the next month. These cheerful perennials look similar to the roadside daisy but have larger and more robust blooms. They tend to bloom in clumps from 2 to 3 feet tall and 1 to 2 feet wide. 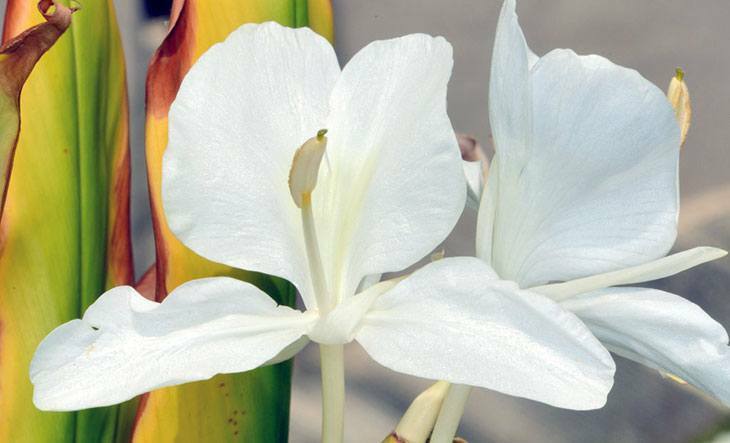 They have all-white petals, yellow disk florets, and contrasting glossy, dark green leaves. They return every spring or early summer and bloom in the all. If you want a March first bloom, start them in October. Plant the bulbs in a clean container half filled with a good potting mix that is moist. Place the container in a refrigerator with a plastic bag covering it. The ideal temperature is 45 degrees or colder. When they are ready to be planted, pick a site that is full sun and in soil that should be moderately fertile, not overly rich, moist but well-drained. Sow seeds in containers in a cold frame in autumn or spring. 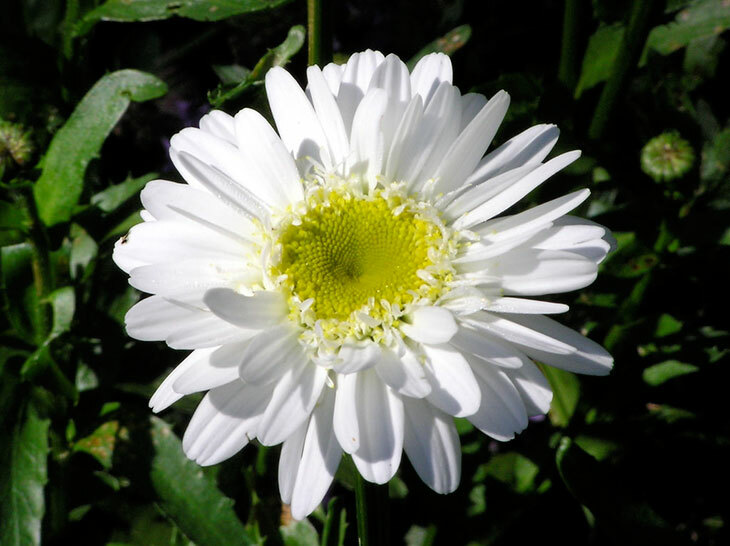 Click here for more information on Shasta Daisies. These annual flowers have big, daisylike flower faces of bright yellow petal and brown centers Utah ripped into heavy heads filled with seeds. They are tall and coarse and bristly leaves. Some grow up to 16 feet tall! Most types are tough and easy to grow. Most types are heat and drought tolerant. They grow best in sites with direct sun. They prefer long, hot summers to flower well. They prefer loose, well-drained and slightly acidic to somewhat alkaline and a pH level of 6.0 to 7.5. They make excellent cut flowers and can attract bees and birds. 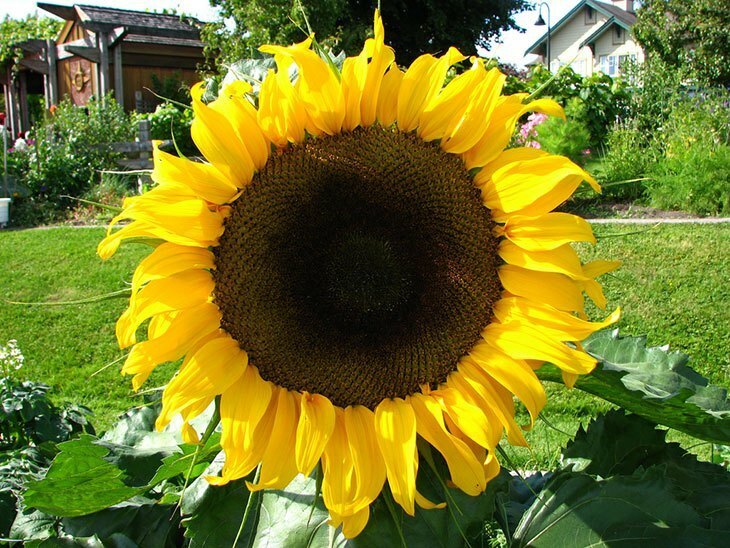 Read more about sunflowers here. 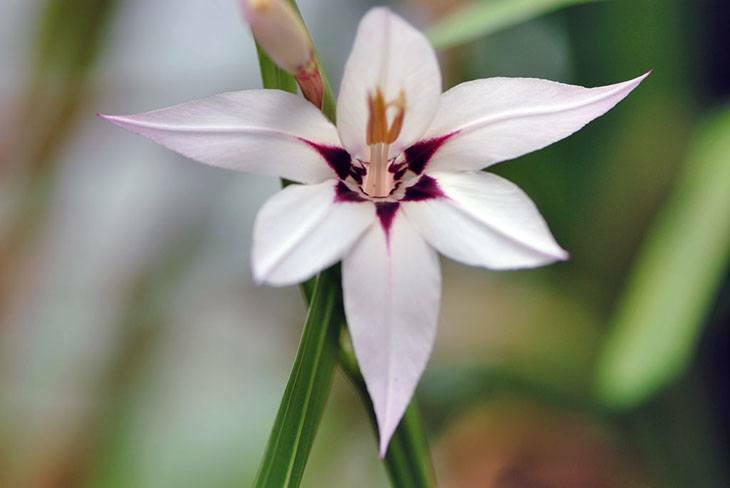 This herbaceous plant has basal, simple leaves that are not present when the flowers bloom. The leaves sprout in the spring and die during June. In late July or early August, the flowers appear on the large, 2 feet tall naked stems. The flowers are either white or pink and very fragrant. 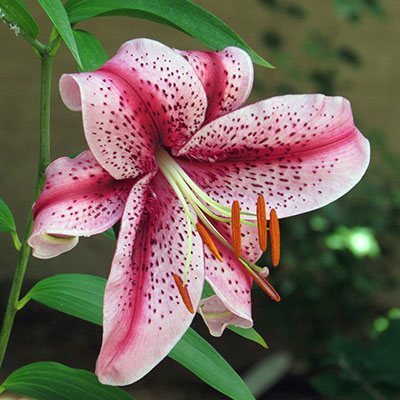 Traditional Suprise Lilies are easy to grow. They aren’t too picky about soil and wouldn’t do well in wet areas. They bloom best in full sun sites but will tolerate partially shaded sites as well. They multiply every 5 or so years. These flowers will suddenly boom overnight, which is how they get their name. 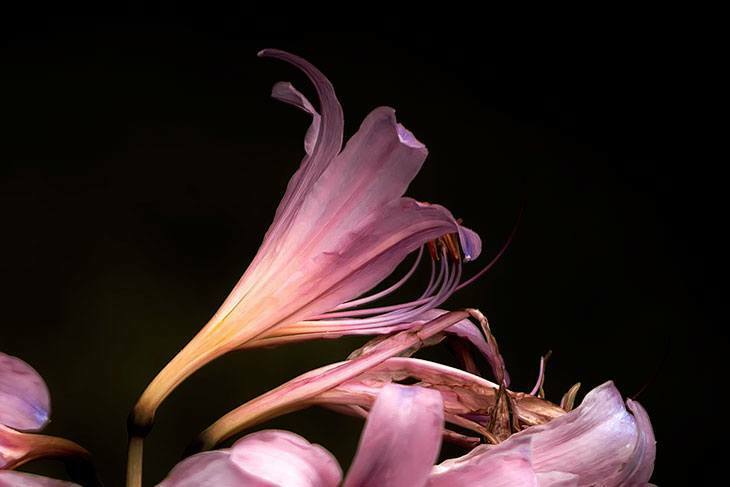 To read more about Surprise Lilies, click here. These beauties can grow to 4 feet tall and produce hairy stems covered with green lance-shaped leaves. The midsummer blooms with petals that curl backward. They are bright orange with black spots. 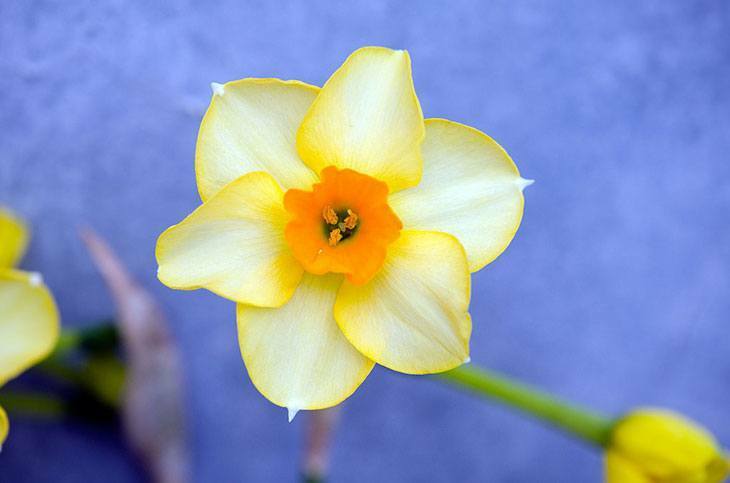 Mature bulbs can develop a least ten 2-inch wide flowers each summer. They adapt to nearly any type of soil, though they thrive good-draining soil. They prefer full sun sites and work well in most climates. They like the light shade in the afternoon in hot climates the most, though. Plant them with their roots in the shade and their tops in the sunlight. 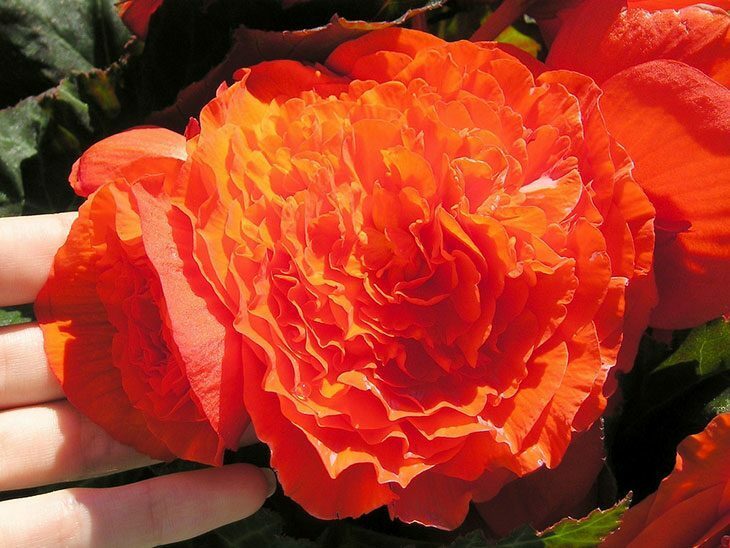 These stunning flowers can grow up to 8-inches in diameter. Their varieties include cascading and upright forms. The cascading varieties are perfect in baskets r suspended from branches of a large tree. The upright forms can grow up to about a foot tall and can be used in planters or along the edge of a walk. They bloom from summer to fall and provide all-season color when planted. They grow best in high humidity and cool nights. Start them indoors for several weeks before your last frost date. The must be grown in well-drained soil and is important to water them when it hasn’t rained for awhile. 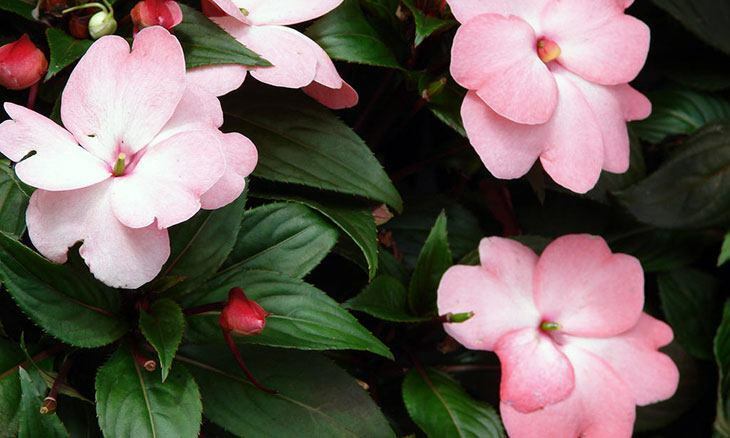 This annual flower produces single or double one-inch flowers in red, white or pink. 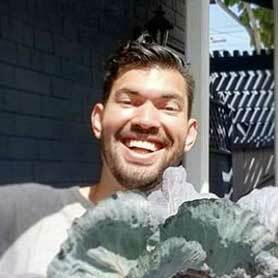 They have succulent stems and the leaves are shiny bronze or green in color. The seeds must be started 4-6 months before transporting. Most types will grow 6-9 inches tall. They must be sown in December or January from large, husky plants by May. They prefer well-drained, rich sites that see the full sun. They tolerate full but bright shade. 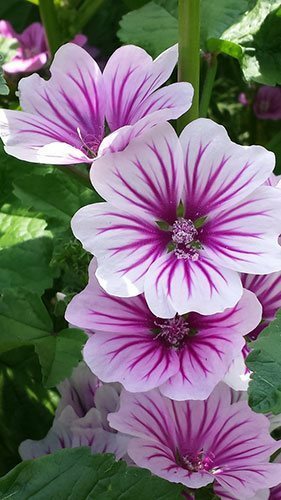 These are great flowers for summer annual border and combine well with other cool-colored flowers in mixed plantings and containers. 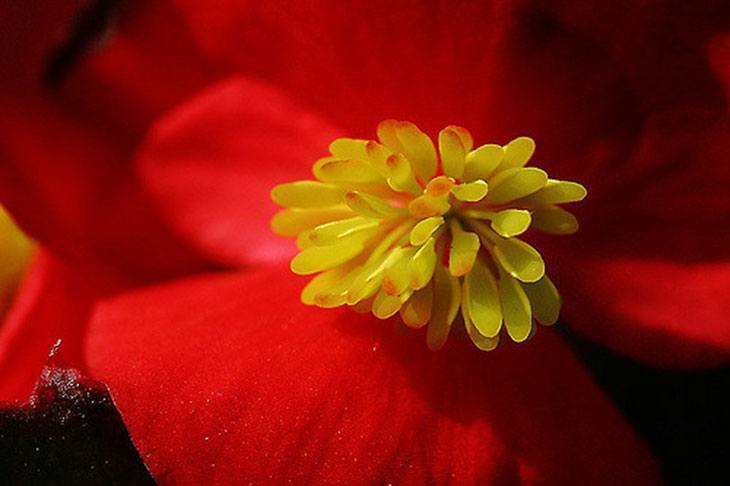 To read more about Wax Begonias, click here. This perennial has showy flower heads composed of tiny, tightly packed flowers. Their fern-like leaves are often aromatic. They produce one to several stems that can be 0.66-3.28 feet tall. The leaves are distributed along the stem, with the leaves near the middle and bottom of the stem. Most types can grow 2-4 feet tall. They are easy to care for and are versatile. Pick a planting site with well-drained, average to poor soil. They thrive in hot, dry conditions. They don’t tolerate wet soil. Space them 1-2 feet apart. They quickly establish and spread. They are excellent for cutting or drying. 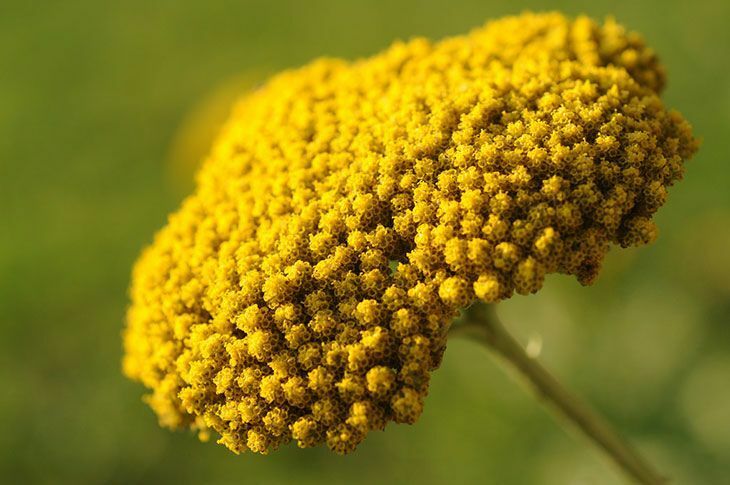 Click here for more information on Yarrow. These annual flowers have bright, solitary, daisy-like flower heads that are on top a stem. They can grow up to 4 to 40 inches tall. They have opposite and usually sessile leaves. 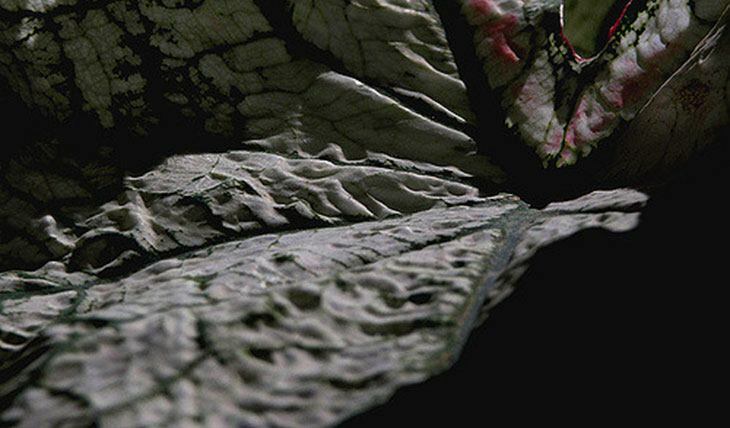 The shape of their leaves range from linear to ovate and the colors range from pale to medium green. They grow very quickly from seeds. Pick a site that sees full sun. They are adaptable but prefer fertile, humus-rich, well-drained soil and prefer a pH balance of 5.5-7.5. They will grow more quickly if the compost is amended. Space the plants 4-24 inches apart. 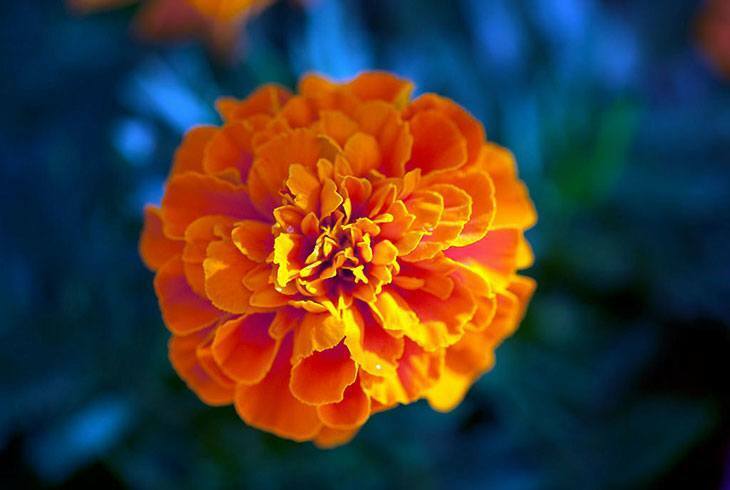 Click here to learn more about Zinnias. These bright summer beauties are usually yellow with a toothed tip. They have a showy head with involucral bracts in two series of eight each, the outer being connate at the base. They can grow from 16 to 47 inches in height. They are easy to grow. Seed a prepared area of un-amended soil in spring. They prefer a full sun location. They need light to germinate, so cover lightly with soil, or press the seeds into the moist soil. Keep them watered until germination, usually within 21 days. These sunflower-like flowers are usually short lived. The leaves are lance-shaped and are gray-green and sometimes lobed. 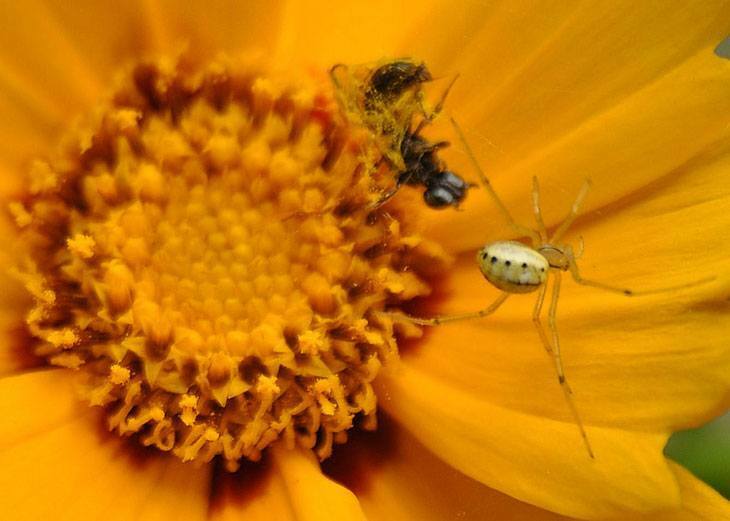 The flowers grow 3-5 inches across and come in various shades of yellow and red. Some disks have surrounded petals which produce florets. Others have trumpet-shaped florets surrounded by the entire disk. They grow the best in full sun, but can survive in the partial shade in hot days. Sow them in the Spring, and see them bloom in mid-summer through fall. They can grow in somewhat moist conditions, but a heavy clay soil will kill them. They are drought tolerant. Poorer soils seem to encourage more blooming. These popular summer flowers have a horseshoe-shaped band of dark color in their leaves. They are known for their rounded, often variegated leaves and showy clusters of red, pink or white irregular flowers. You can plant them indoors or outdoors. They should be planted outdoors in a spot with full sun, in a loose well-drained soil, in which you should add a generous amount of compost, leaf mold or peat moss. They thrive in a slightly acidic soil with a ph level of 6.5. Plant them after all the danger of frost has passed. Water them once a week if it hasn’t rained all week. 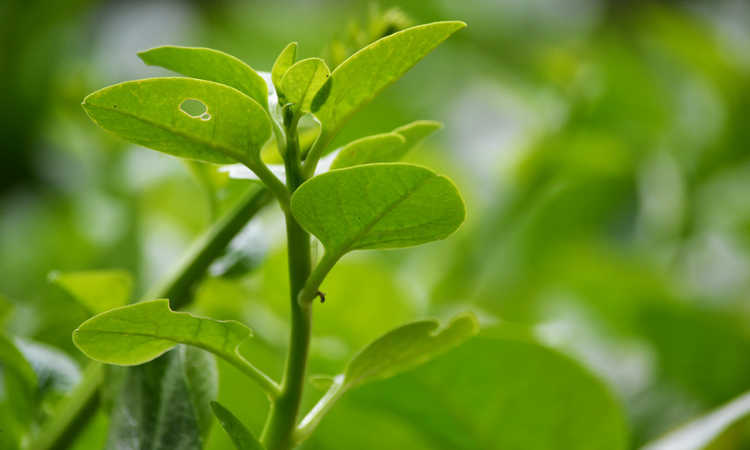 An essential oil is obtained from this the leaves of some species. Click here to read more about Geraniums. Phew! That was a huge list. I’d love to know if you have any favorites that I missed, so please let me know in the comments below.